With winter just a few months away the Scottish Government has announced plans to invest £7.5 million into its boiler scrappage scheme which helps households across Scotland upgrade to a new boiler. The additional funding is part of a massive £65 million budget which has been set aside by the Scottish Government to tackle fuel poverty in 2012/13. Households who are eligible can benefit from £400 off the price of a new energy efficient boiler which could also see them save up to £300 off their annual home heating bills. Take Douglas and Marilyn Bell from Ayrshire for example who have had their 20 year old boiler replaced under the scheme: “Having a new boiler fitted has given us real peace of mind and the process of applying for the voucher towards the cost of the boiler and arranging to have it replaced was really simple,” said Mrs Bell. Cabinet Secretary for infrastructure and capital investment Alex Neil said the boiler scrappage scheme has been a “resounding success” and over the last 12 months has seen around 12,000 households receive a new boiler replacement. By investing additional funds into the boiler scrappage scheme it will enable the Scottish Government to meet its manifesto commitment which will provide support for 30,000 new boilers three years ahead of its original schedule. “Many Scottish households are losing money everyday by not taking up free insulation offers supported by the Scottish Government. 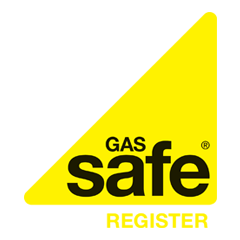 I would urge anyone who has not looked at loft or cavity wall insulation, or those looking to replace their old and inefficient boiler to contact the Hotline as soon as possible to access this additional resource,” added Mr Neil. If you live in Scotland the Scottish Government’s Home Energy Scotland Hotline is the first port of call for advice from energy efficiency experts. Aside from a new boiler installation householders may also be eligible for a complete central heating system and home insulation. To date some 200,000 people have already utilised the advice Hotline to improve the energy efficiency of their home, in turn cutting heating bills and preventing more people from being fuel poor. For more information contact the Home Energy Scotland Hotline on 0800 512 012 or visit the Home Energy Scotland website.